No, really. They are the Best Sloppy Joe’s Ever. According to us, anyway. “Best Ever” can be fightin’ words. Especially when talking about chili. Or chocolate chip cookies. Or *gasp* pie crust. That last one can be a direct assault on a grandma if said to the wrong person. 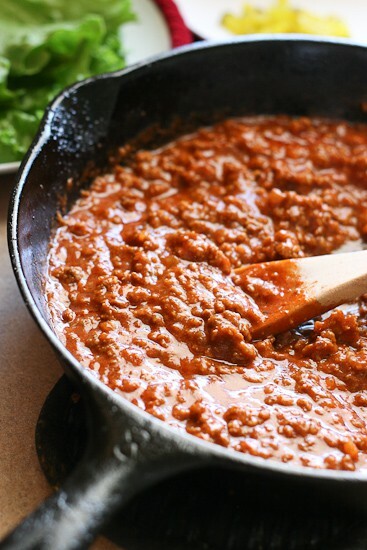 Why are these the best Sloppy Joe’s ever? First, because they’re not overly sweet or fussy. You don’t even need a knife for this. For reals. And second, it’s my grandma’s recipe. No, not Grandma Inez. My Grandma LaRue, who claims she’s a “horrible cook.” I sense that she doesn’t enjoy cooking, but I have to disagree with her. In fact, two of my favorite family recipes come from her, my favorite chocolate cake. And these Sloppy Joe’s. My mom made these for us all the time when I was growing up. When I eat them now I think about a typical night around the table. . . .
Dad watches the news. Mom tries to convince my picky baby sister to eat. And my younger brother and I make faces and stick out our tongues (full of chewed-up dinner) at each other from across the table while my mom’s preoccupied. Then we do the “I have a secret” giggle, and my mom wonders what’s so funny. We still do that as adults. We’re so mature. I think there are two types of family recipes. Those that stay exactly the same for decades and those that evolve with each generation. This one has evolved somewhat. My mom didn’t like cooking with fresh onion, so she used dried. She also likes hers with pickles, and that’s how I like them, too. I threw my little spin on these as well, using plain tomato sauce in place of condensed tomato soup, using a gluten-free thickener, and using lettuce leaves (on occasion) instead of buns. Grains for greens! I actually prefer to eat them over a pile of Sweet Potato Fries. Like chili fries, but better. If you’re looking for a vegan version, try mushroom and cashew-based Vegan Sloppy Joes! Why are these the best Sloppy Joe's ever? Well, they're not overly sweet or fussy. You don't even need a knife. (Honest!) 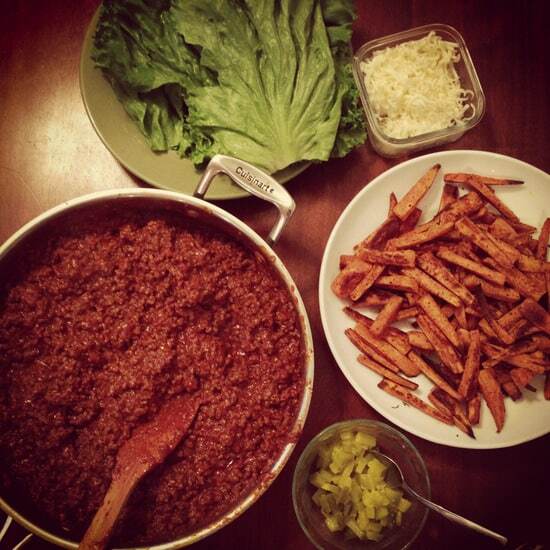 And eating it over a pile of sweet potato fries puts chili fries to shame. Brown the beef in a large skillet over medium-high heat. If your beef is extra lean, you may want to add a tablespoon of oil to keep it from sticking to the pan. Drain off any oil, if needed. Return pan to skillet and add the remaining ingredients plus 1/3 cup of water. Stir well and simmer over medium-low heat for about 10 minutes. Serve with buns or lettuce leaves, shredded cheese, Sweet Potato Fries, and (our recommendation) pickles. I can see why these would be the best ~ looks like amazing sloppy joe’s! I can’t wait to get sloppy’d! I’m not sure how you take a picture of a simple sloppy joe and make it look like the world’s fanciest dinner, but you did. I think I need these for dinner this weekend! Haha. Thx Karly :) I think I just get lucky sometimes! 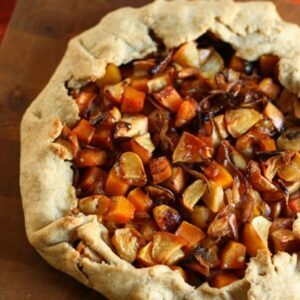 I love family recipes like this that evolve over time. And I second Karly! If I tried to photograph this…it would look like brown mush. 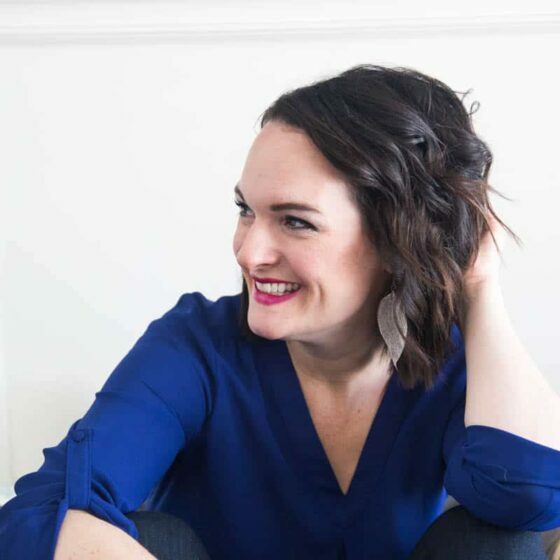 This sounds soooo good, Natalie! I have been craving sloppy joe’s lately. Perfect! 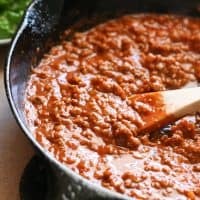 My son has been asking for sloppy joes so thanks for the great recipe! I going to try this out soon with the lettuce wrap. I don’t have arrowroot powder but maybe I’ll add some coconut flour to thicken it a bit. Sorry they weren’t your thing, Dan! 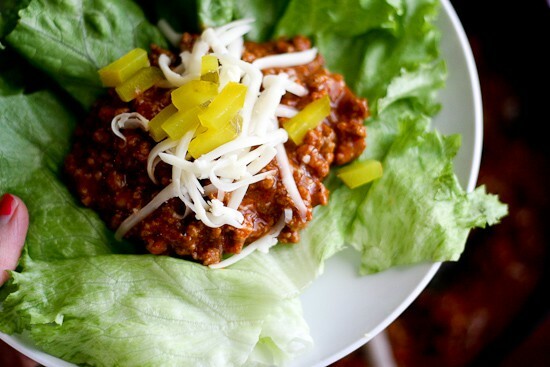 I’ve been searching for a Sloppy Joe recipe that doesn’t have bell pepper in it…can’t wait to try these! Just took my last bite of these – good! I was nervous after Dave wrote, but we approve and my husband is quite critical. 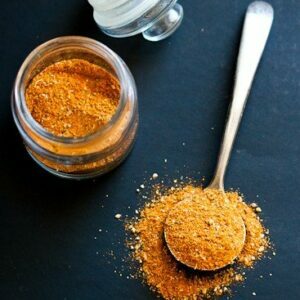 I did add 2 tablespoons of brown sugar and in the future would decrease the mustard (my hubby isn’t a big fan). The GREAT thing about this was I have been looking for a sloppy joe recipe without condensed soup because of the corn syrup in it…found it! Thanks, Natalie. Did not turn out the way I was hoping. Had a very strange taste. Made these today and they were delicious. Thanks a million; I think these just became a staple in my house! I made these tonight and they were amazing. I added 1 tablespoon of honey just to cut the mustard taste since hubby isn’t a fan and served it over cornbread. Thanks for the recipe! Fantastic…..planned on making Sloppy Joes for dinner…Crap! Realized I didn’t have any Manwich……good ol Pintrest…..never again will I buy Manwich these were GREAT! 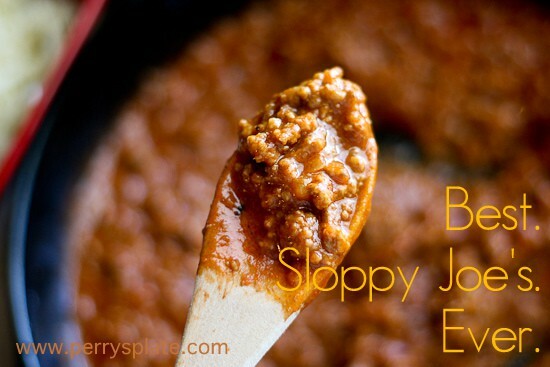 These are amazing sloppy joes. This will be the third time we will be enjoying them, my husband loves the lettuce wraps!!! 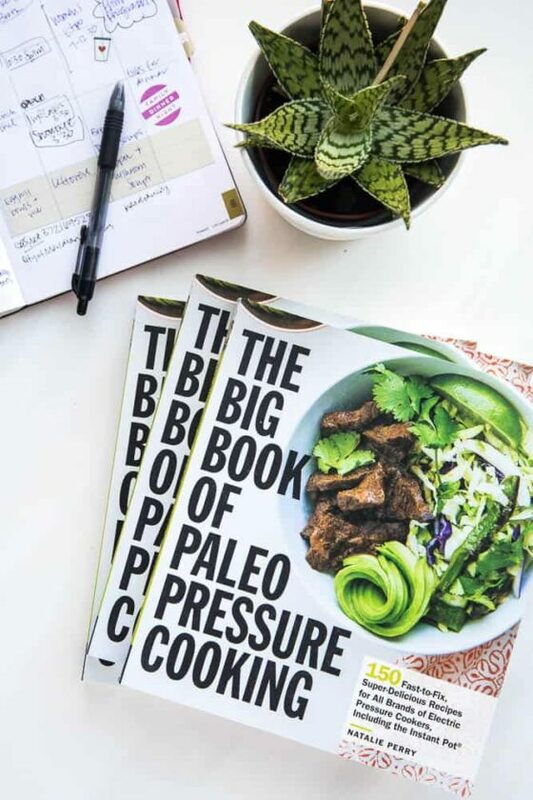 Pingback: Daily Delicious: Paleo Sloppy Joes! | What's Ta Eat? After 5 years of being together, my husband suddenly says he loves Sloppy Joe’s. So having recently gone organic, I was able to make these and made homemade hamburger buns to go with them. My husband and I loved them and we also found a new hamburger bun recipe on Pinterest. Thanks so much for sharing your recipe. It is now written into my new recipe book I started for ‘from scratch’ recipes. Just made this for the first time, I thought it was very good. I can taste the mustard but I think it tastes good! Will for sure make this again! Also super quick and easy!! Making these tonight for the second time. They are delicious and fast. And I like making them myself so I know what’s in them. I used cornstarch for thickener. The pickles are a must! We love them on small split top potato rolls for sloppy joe sliders. Fun and yum! Found this on FBHEO and I just had to hop on over here an pin it! 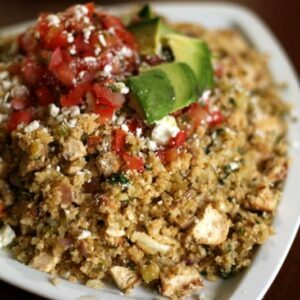 Looks phenomenal and super easy!! Could you tell me what you could substitute for sage? My husband hates sage. I would hate to make this and have to throw it out. Thank you. Hi Margaret! The sage flavor isn’t prominent in these, but if you feel like you need to omit it, go ahead. You don’t need to replace it with anything. We never had canned sloppy joe before as a family, but this has become a favorite at our house. My daughter makes it and we love it. I did use cornstarch instead of the arrowroot, but otherwise kept the recipe as is. My favorite way to eat these *sans bun*, is over a baked sweet potato! Seriously though, try it!! Yes! We love that, too! Thanks for another regular menu item!